Inspired by the spirit of discovery and adventure that drives every urban explorer, the latest addition to the Montblanc StarWalker Collection features a World Time complication integrated inside the writing instrument. One twist of the cone at the end of the lightweight titanium StarWalker World Time gives its owner the means to identify the local time in different time zones. In its constant search to evolve the writing experience, the new Montblanc world time functionality meets the needs of those who move between time zones. Integrated inside the writing instrument, the mechanism is operated by simply turning the cone. On arrival at his or her next destination, the StarWalker World Time’s owner can set the time to the local time zone, while also being able to identify the time in 23 other time zones around the world. 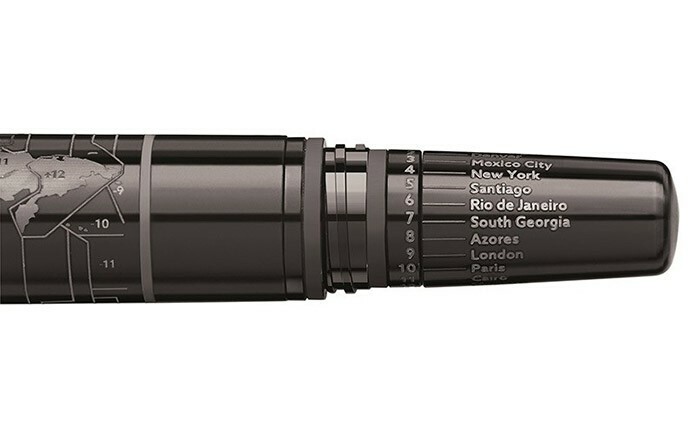 Once the cone is set to the correct time zone indicator, the writing instrument will, for example, reveal that when it is 4am local time in New York, it is 10am local time back home in Paris. The StarWalker World Time is manufactured out of solid titanium, a complex metal known for its low weight, high strength and resistance to high temperatures and corrosion. Perfectly balancing form and function, this durable writing instrument is designed as the ideal travel companion. 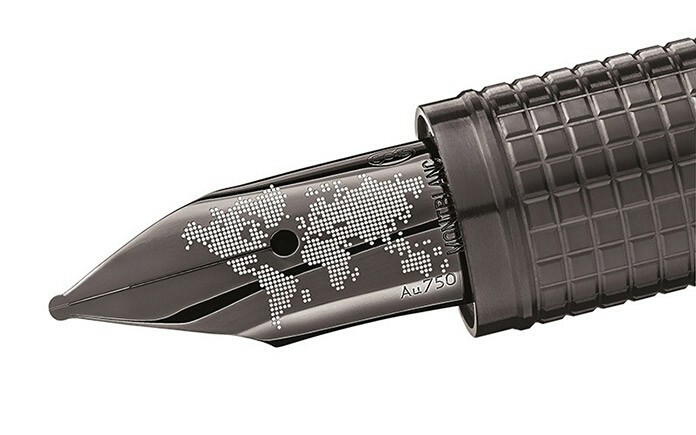 The cap and barrel are subtly laser engraved with a map of the world time zones, and coated with “Physical Vapor Deposition” adding a layer of protection against corrosion while giving the writing instrument its elegant two-tone appearance. 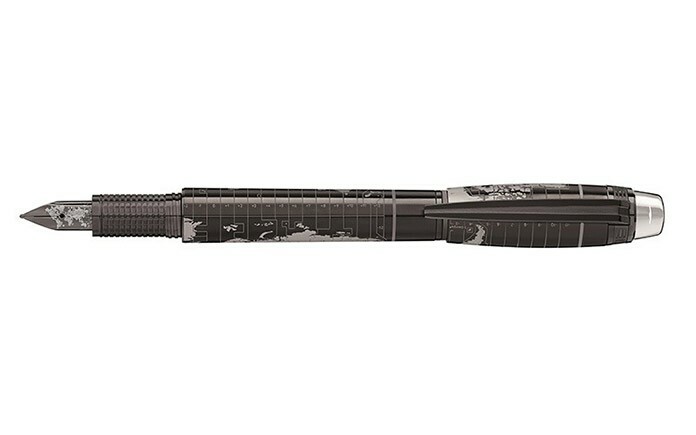 The PVD-plated clip is embossed with the Maison’s name, and features both a matt stripe and the writing instrument’s individual serial number. 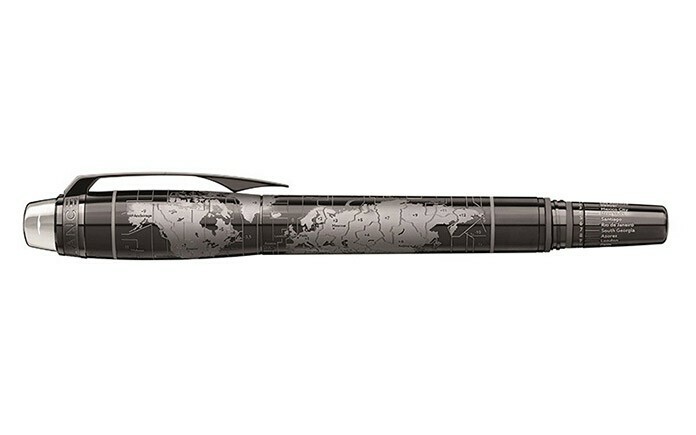 Underscoring the fine craftsmanship that defines every Montblanc writing instrument, the ruthenium-plated hand-grinded Au750 gold nib bears a fine filigree world map, laser-engraved onto the ruthenium plating to reveal the white gold underneath. Available in Fountain Pen and Fineliner, the Montblanc StarWalker World Time is presented in a special folding box adorned with both hemispheres, and a world map with time zones on the inside. With elegance and sophistication, quality and performance, this refined writing instrument is built for intercity travel, and the active explorers driven by wanderlust who capture experiences, thoughts and ideas on paper along the way.